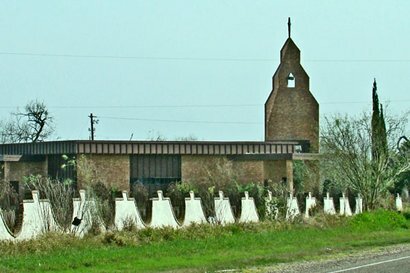 The town was named for Texas Ranger Abram Dillard, who lived in the vicinity of Ojo de Agua Creek. A ranch by the name Ojo de Agua was established later and the community is sometimes called by this name. The Ojo de Agua - or watering hole was on the military supply route from Fort Brown to Fort Ringgold. A post office was granted in 1901 and the railroad laid tracks a few miles North of the community three years later. During one of the Mexican revolutions Abram was the site of a fight between the U. S. Cavalry and bandits that had crossed the river. The population of Abram at this time (1915) was a mere 50 people and it never exceeded 100 people until the 1970s. A colonia developed near enough to Abram to be included in the area's 1990 census. There is now a population of 5,444 population (2000 census) living in the area. Greater Abram receives its water from the La Joya Water District. McAllen,/Edinburg, Weslaco to the East. 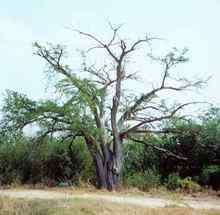 Our thanks to contributor Ben Cardenas for suggesting Abram and it's record tree for inclusion in Texas Escapes.